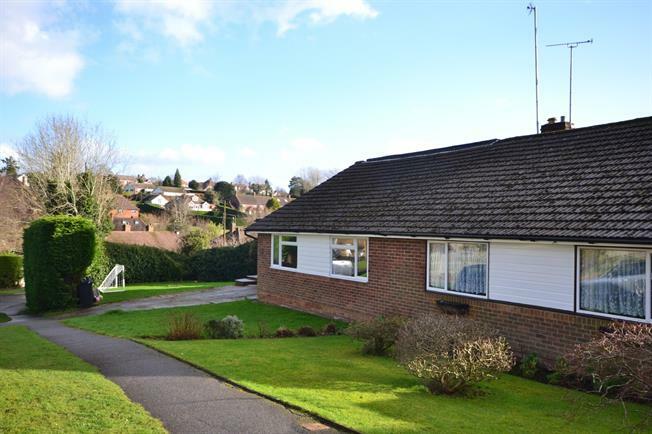 4 Bedroom Semi Detached Bungalow For Sale in Wadhurst for Offers in excess of £450,000. This semi-detached chalet bungalow is well located in a quiet residential cul-du-sac, providing easy access to the many shops in the village of Wadhurst. The property has recently been extended, and now offers an open plan kitchen/ dining area, benefiting greatly from the addition of roof lanterns and patio doors. The property offers three double bedrooms plus a single, and has a good sized living room and bathroom. Overall this home has a feeling of lightness and spaciousness throughout. Off road parking for two cars is provided and there is a fairly secluded garden, accessed from either the utility room, kitchen or living room.